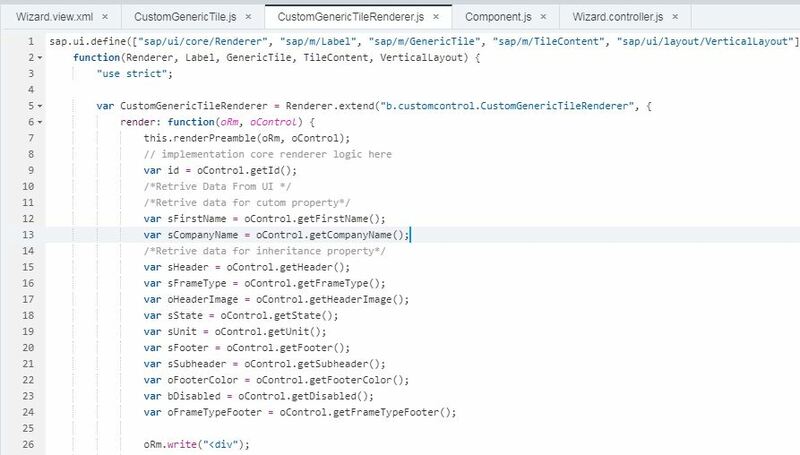 We might require all the property and features which SAP UI control provide into our custom control but rendering UI elements should be as per our own requirement. To achieve the above requirement, I am considering sap.m.GenericTile for our example. 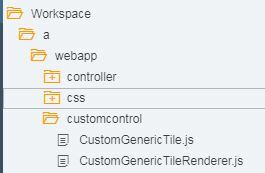 We will add two custom labels into the GenericTile and we should get all the features of sap.m.GenericTile into our custom ui control as well. First we should create a SAP UI5 project into SAP Web IDE. 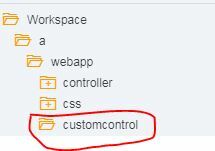 And create a folder like below , where we will store our all customcontrol. Now we have to write our own custom renderer as per our own requirement. But all the available features of sap.m.GenericTile also we can use as it is. We can see from the above code snippet , we are retrieving value of our customized & inheritance property. Now, we will start writing our own UI elements rendering process. Enter below .css class into your application’s css file. We could see our own CustomGenericTile having all the features of sap.m.GenericTile along with our own features. Code Not working when i take the JS view , please guide me for same .